How could it be possible to get in the kitchen to bake? 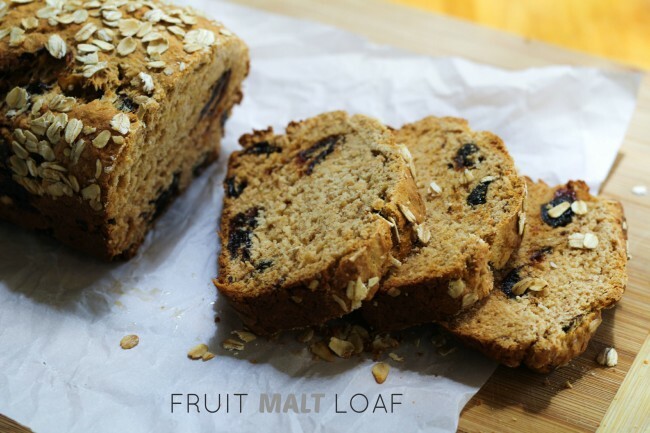 I had to make this fruit malt loaf. It wasn’t even an option to not turn on my oven. What are your thoughts on malt? I like it…I like chocolate malts. I almost couldn’t remember the name!! Whoppers! Yes, I like Whoppers. Those little milk chocolate malt balls that my kids will not fight over at Halloween (PS This bread isn’t made with Whoppers). They will happily pass them over to me and maybe, if I’m lucky, a tiny bag of Swedish Fish! Sometimes, well maybe more than some, I feel like I’m talking with George’s mom from Seinfeld. Really, it’s eery how similar they are with their conversations. Any of a variety of cereal grains, including rice, wheat, oats and rye can be used to make malt. The most common by far, however, is barley, which is the primary grain used in the production of most beers and the majority of malted whiskeys. So you have malt vinegar, malted whiskey, Ovaltine, malted milk balls. It’s found in different products (some we already went over) including flours, malted milk, malt whiskey and malt balls. There are two types of malt powder — diastatic and nondiastatic. The former involves the process described above, in which active enzymes transform starches into sugars. This type of malt powder can be used when baking bread to ensure that it will rise. Nondiastatic malt powder has no active enzymes, and is commonly used in drinks for flavor. 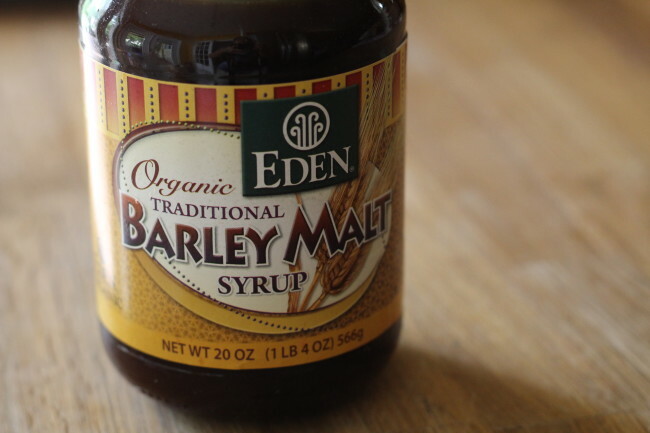 Malt syrup (barley malt syrup) is made from malted barley that is ground and then briefly treated with an acid to dissolve the enzymes, sugars and vitamins. It is then heated with water to form the mildly sweet, concentrated liquid we know as malt syrup. 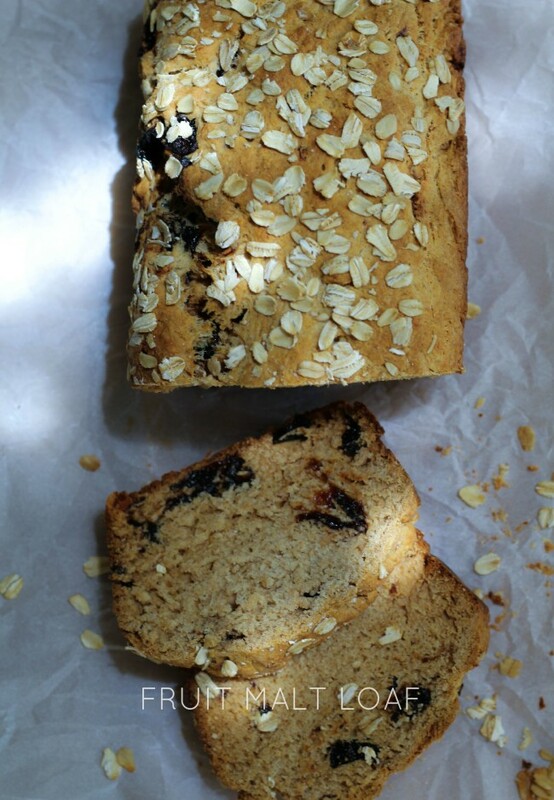 Although dark-colored like molasses, its flavor is much milder. To create a more “bagelly” bagel (moister and chewier, with a shinier shell), commercial bagel bakers add a small amount of malted barley syrup in place of ordinary sweetener. What is all this malt talk really all about? I didn’t find the oats to be cheeky and loved them! Preheat the oven to 325 F. Line a loaf pan with parchment paper. Butter and flour the parchment paper (or spray with baking spray or olive oil). In a medium sized mixing bowl, add t the flours, salt, baking powder and cinnamon. Whisk together. In a small pan, melt the butter. Add the honey and the barley malt syrup. Stir it around gently. Remove from the heat, add the dark ale, whisked egg and the chopped dried plums (or raisins). Pour the wet ingredients into the dry ingredients. Stir together with a wooden spoon until a soft dough forms. 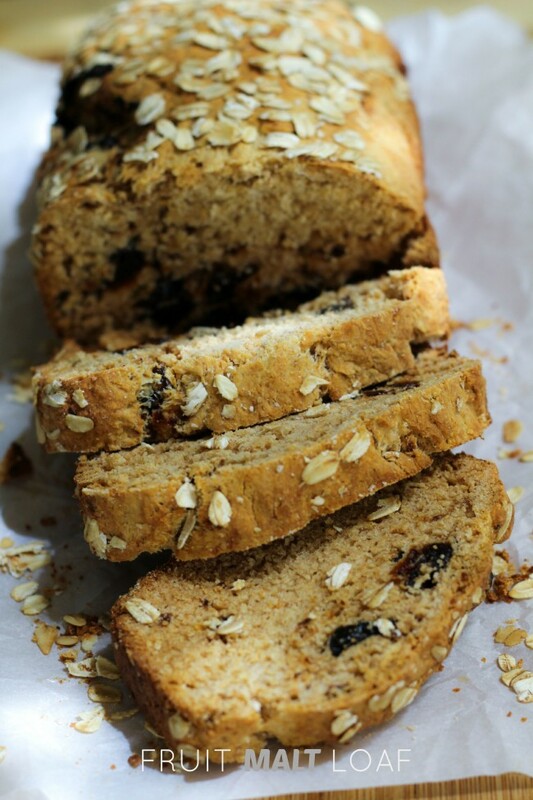 Spoon and smooth into the loaf pan, sprinkle a handful of oats on top, and bake for 35-45 minutes, or until a skewer comes out clean. Remove from the oven and let it cool in the loaf pan.